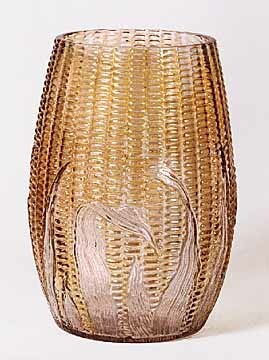 Dave Doty photographed this 7-inch vase on the left in 1993 when it sold at auction for $55. 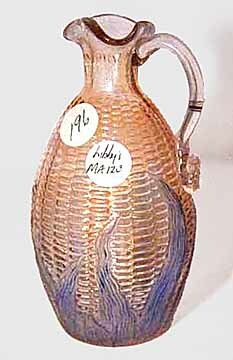 However, another with blue husks sold in 1994 for $75 and a similar one in 2004 for $260. 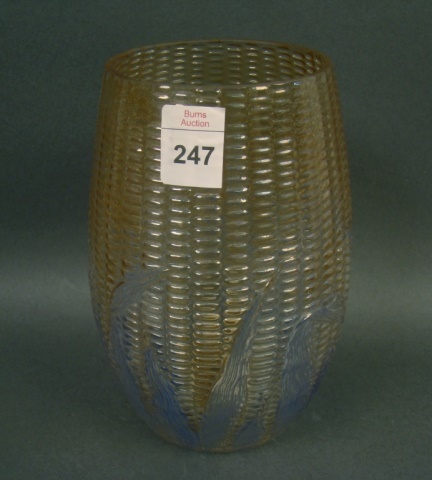 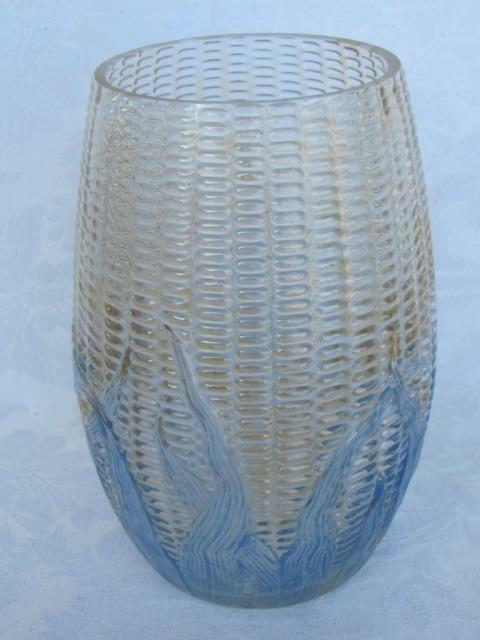 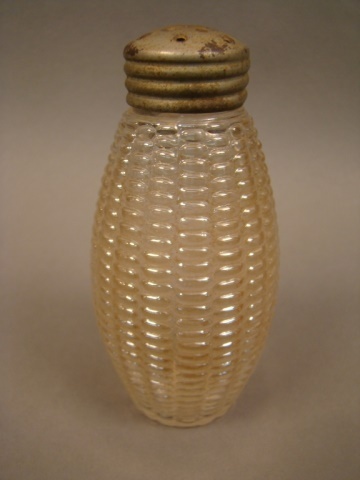 The Maize cruet with blue husks sold in 2002 for $250. 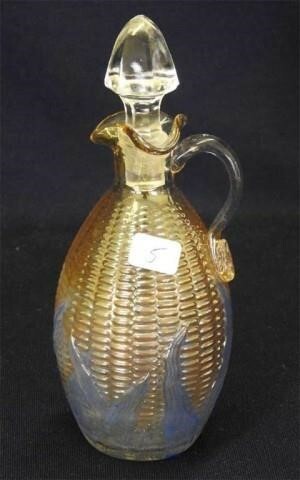 Another brought $200 in 2009. 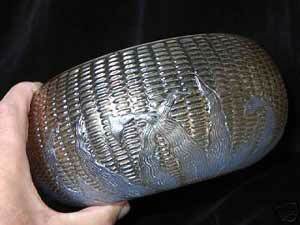 Libby also made this pattern in 8 1/2-inch bowls. 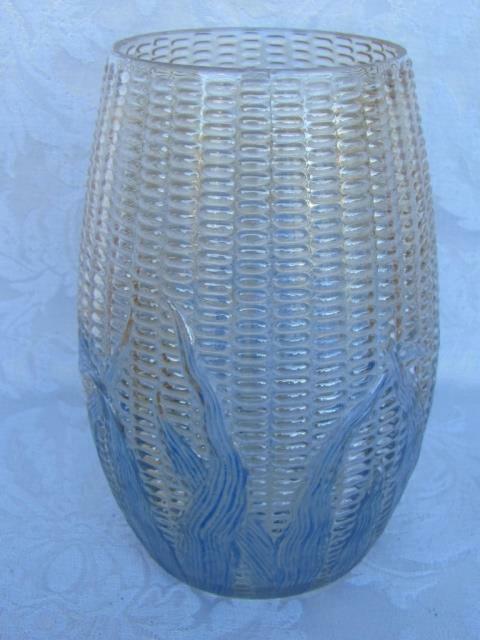 This one was offered on eBay from Scotland in 2005 but there were no bids at $46 starting price. 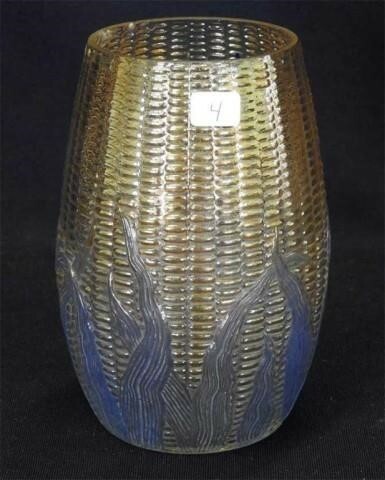 The seller said it was a light clambroth with blue-stained husks. 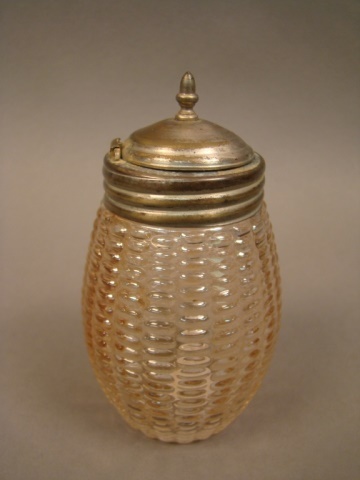 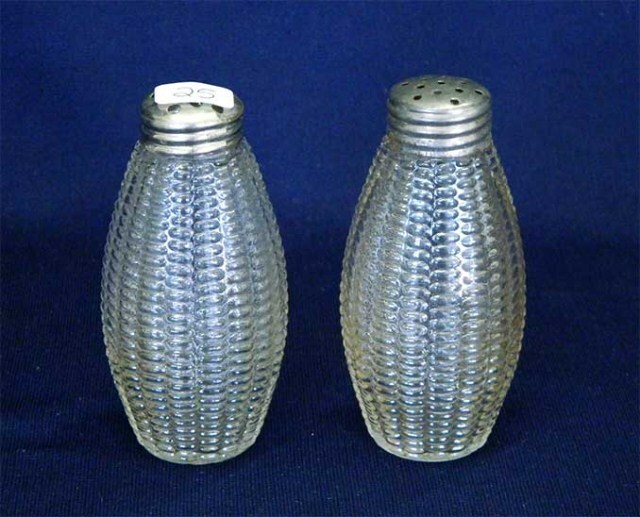 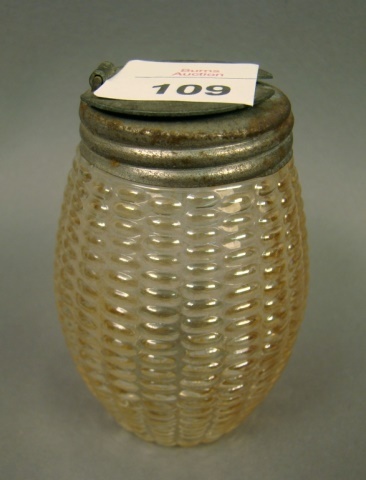 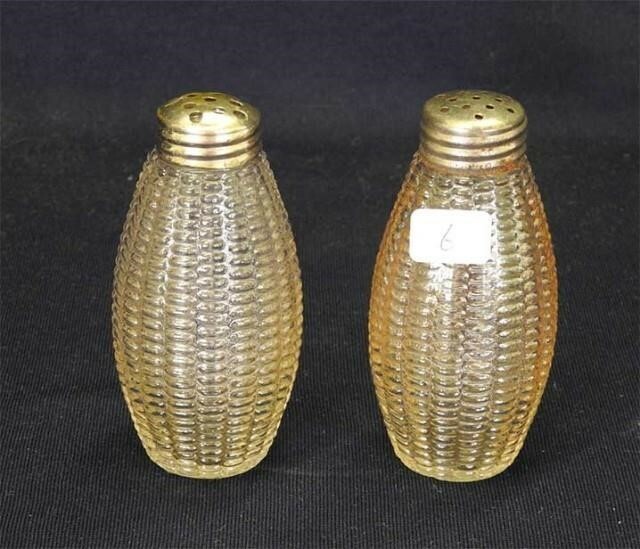 A salt and pepper set in light marigold sold for $50 in 2012.